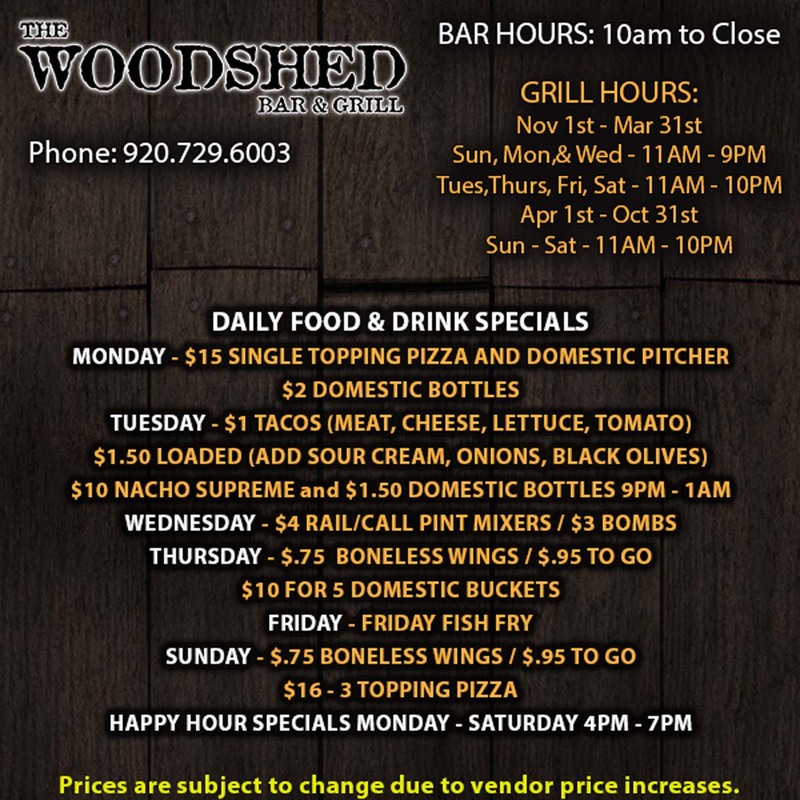 (920) 729-6003 Map to The Woodshed MENU Woodshedbar.com The Wood Shed is great place to come watch the football game or the Nascar races. This is a unique style sports bar. We have great specials in a fun casual atmosphere.